U.S. Rep. Eric Swalwell, D-Calif., is running for president. Rumors about his intention to run have been swirling since November when he visited Iowa to meet the Asian & Latino Coalition in Des Moines and Iowa Democratic Party chairs in Dubuque. Swalwell made his announcement on a taping of The Late Show with Stephen Colbert, with a clip released on Twitter before the show aired. 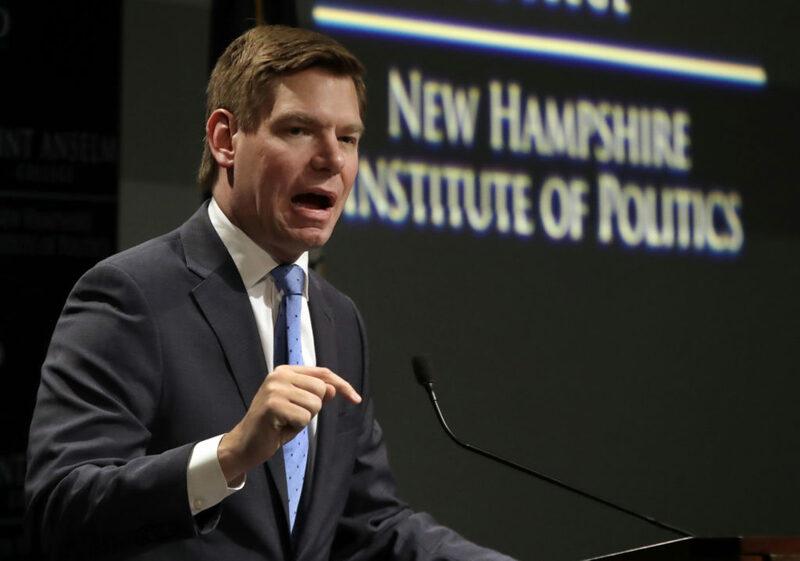 Swalwell, a vocal opponent of President Donald Trump who asserts that the president’s campaign team colluded with the Russian government, will likely continue his attacks on the campaign trail. 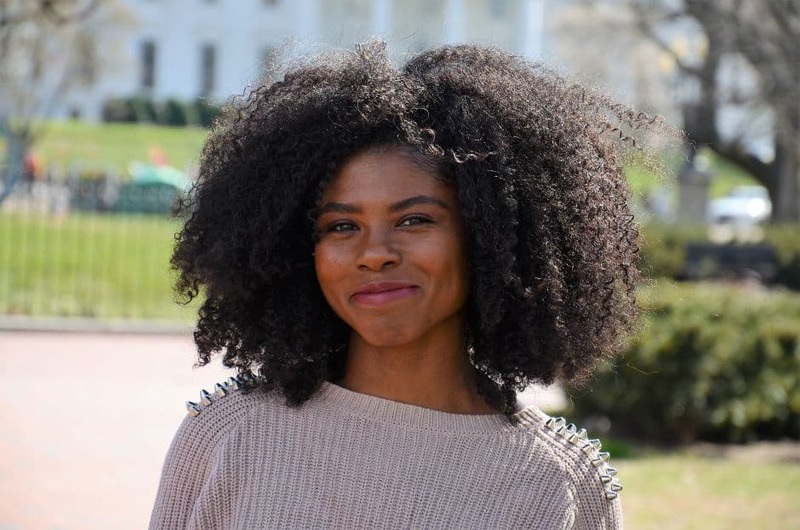 Should the congressman secure his party’s nomination and defeat Trump, the 38-year-old millennial will be the youngest person ever elected president. Since announcing his first U.S. House seat campaign in 2011, Swalwell’s U.S. House campaign committee has raised nearly $7.8 million. During the 2017-2018 election cycle, Swalwell’s donors were 69 percent male, according to an analysis from the Center for Responsive Politics. Swalwell’s Future Forum PAC, the mission of which includes advocating for millennials, raised more than $542,000 during the 2017-2018 election cycle — a significant jump from the $62,400 it raised in the 2016 election cycle. The PAC currently has $64,317 cash on hand. Swalwell is among the least wealthy members of Congress, based on his most recent personal financial disclosure form. His estimated net worth in 2017 was between negative $10,000 and negative $149,000, not including the value of a primary residence. Swalwell graduated from University of Maryland School of Law in 2006 with substantial student loan debt. His latest personal financial disclosure indicates that he has student debt worth between $50,001 to $100,000. He also reported having between $25,001 and $65,000 in credit card debt. His latest personal financial disclosure also reveals that he has no more than $15,000 in pensions through the California Public Employees Retirement System. Swalwell appeared on The Hill’s now-disbanded “50 Most Beautiful” list in 2014. 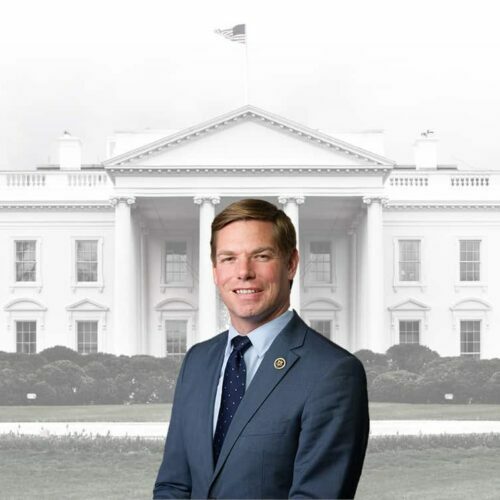 Swalwell has received $15,000 from The Home Depot Inc. PAC, which traditionally supports more Republicans than Democrats. The PAC hasn’t given to him since the 2016 cycle. One of the company’s co-founders, billionaire Bernard Marcus, is a Trump supporter who, with his wife, gave at least $7.9 million mostly to Republicans during the 2018 congressional midterm elections. Swalwell opposes the Supreme Court’s 2010 decision in Citizens United v. FEC, which allowed for corporations, unions and certain nonprofit groups to spend unlimited amounts of money to advocate for and against political candidates. However, some of his top contributors are corporate PACs that include Intel Corp, PG&E and Calpine Corp., who have collectively given $84,500 to his U.S. House campaign committee. Sources: East Bay Times, the Center for Responsive Politics, The Hill, Real Clear Politics, The Washington Post and End Citizens United.